Aanteater Pest Control and Wildlife Services offers pest control services and wildlife to Niagara, St. Catharines, Grimsby, Burlington, Oakville, Hamilton, Dundas, Waterdown, Mississauga, Brampton and Toronto as well as surrounding areas. 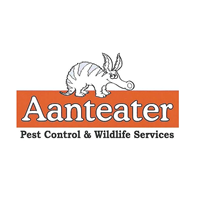 Whether you own a business, manage property or are a home owner Aanteater Pest Control and Wildlife Services can provide you with environmentally responsible and effective extermination services as well as humane wildlife control. I am very satisfied with your service both office response and the technician. As you said I should wait for 4 weeks and of course I understand why, then I would rather let you know then if I see any more ants. right now I would recommend your company. No ants! .. very happy so far! Excellent customer service. Great to deal with a company that does exactly what they promise to do in a timely manner. Thank you for your services. Your technician Denis was amazing and very informative. He answered all my questions throughly with plenty of detail. Just happened before a family day, because the raccoon, we have to sleep at the living room for 3 nights. Thank you for your help, I am so happy to pay for the service. Good job. Very good service. Prompt, professional and thorough. Excellent customer service, kept me up to date with constant communication and fixed problem promptly. Kim and office staff very easy to deal with and service technician Ryan was amazing. I am confident they handled my issue as they were very knowledgeable about pest/animal control. Thank you for taking the time to let us know how we did. The team appreciates your feed back. Have a wonderful day! Had one treatment done so far very efficient and pleasant friendly staff! Thank you Ali for getting back to us. Aanteater Pest Control was awesome! The man who came to the house was really great... very professional and nice. He did a wonderful job making our home squirrel access free for the new owners. Thank you again for coming so quickly. Thank you Christine for taking the time to write us!. I am glad we decided to get a service from Aanteater for dispelling raccoons out of our house that had harassed us for quite a while. Now, we could be relieved and have a good sleeping. Appreciate your kindly service as well. Thank you Anton for the great Review. Have a wonder Happy Holiday Season! Very prompt, courteous and professional service. However, I doubt the bugs like them much! Put my mind at ease. Honest and genuine people from initial call, confirmation, work done in and outside of my house, and all the way through to payment. I would definitely recommend. I had talked to some other companies and found Aanteater Pest Control And Wildlife Services to be the most honest one. I’ve signed up for the full year program to keep my home mouse free! Thank you Sonia for the great feed back. The Team really appreciates you taking the time. Great job. Michael, the technician, was very nice and professional. Excellent support from Kim. Thank you all. Thank you for taking the time to let the Team at Aanteater Pest Control and Wildlife Services know how we did. Thorough knowledge and took time to explain in great detail. Aanteater was recommended to me by my daughter based on her experience. The technician came promptly and gave a detailed written quote to remove a squirrel from my family room ceiling without charge. A day or so later I decided to go ahead and an appointment was made to have the work done. Michael turned up on time, did the work efficiently (even managing some extra gratis!) and explained what he did. He was very pleasant to work with! A week later a supervisor turned up, also on time, to remove the one way trap and inspect Michael's work. Another week later the squirrel is hanging around the garden (looking quite annoyed!!). I hope I never have to test the warranty given!!!!!! Thank you so much Colin for taking your time to write us this review. The team at Aanteater greatly appreciates your feedback. As always I have been very please with your service, from beginning to end, you are super company to solve my problems of carpenter ants. Friendly service, easy to call anytime, always on time and most important the traps are working 👍🏻. Thank you Anna for the great review, Good to hear! Great service from the call to the finish. A very satisfied customer. We are very satisfied and happy since we first time met your man Kaya 3 weeks ago, he gave me and my wife very good impression. We can see he is very professional, nice and polite, explained clearly about the procedure and schedule and answered our many questions patiently , he also went up into my house's loft for checking once I requested. Kaya and his partner came back to do the job very skillful and nicely in few hours and my wife was having a sweet and wonderful sleep at that night till now. Today Kaya came back to take off the cage trap on the roof and sealed the hole nicely and tightly. We are happy and feel like meeting our friend again. However, we surely will recommend your company to our friends if they need such kind of service. Thank you Joe for taking the time to let us know how we did. The team at Aanteater appreciates the feedback. We look forward to working for you again. We do have a referral program. Make sure they mention your name and you will receive a gift card for Starbucks. Thank you again. Aanteater Pest Control did a wonderful job! One month in, and not a carpenter ant in sight. Very helpful, knowledgeable and friendly staff. Great to hear Robert, Thank you for the review. So far it looks good, waiting to see if all ants disappear, there still are a few but a lot less, maybe it takes a few weeks, if not gone completely I will call back. Thx. It can take up to 4 weeks but if you are still seeing them after that, please give us a shout. Good job, service personnel was diligent in what he did and made sure the job was done right. Great to hear! Thank you. We look forward to working for you again in the future. Very happy with Denis and the service provided. Thank you Christine for the review. The team at Aanteater really appreciates it. As always, you guys are great to work with. Glad to hear? Thank you! Very good service. Nice attentive person who explained our issues, gave good advice and reassured me about the company follow up. Had used Anteater before with a different issue and was very satisfied then too. Glad we can assist you again. Your technical support person who came to the house was excellent. Tremendous service, very reassuring. I am a fan. Thank you and we look forward to working with you again in the future. Great to hear Margaret, Thank you! Very timely. Great and pleasant service and a lot of helpful information, too. Thanks. Quick service no smell left and no ants either! Thank you for the review, look forward to working for you in the future. Everyone at Aanteater has been friendly, helpful and efficient...it's a really great service! Thank you Rick good to hear your happy with our service. Makes us all proud. Your company provided a quick next day email contact form response coupled with a phone call which impressed us. Michael arrived promptly at the appointment time to assess the situation with the skunk under our shed. He explained the exclusion process in a friendly and professional manner. We authorized the work the same day. The skunk has tried very hard to get back under the shed for several days and has not been successful which is a testament to the quality installation work performed by Michael. Great news! Glad we could help. Thank you for the review. Good service and knowledgeable technicians. Thank you Valerie for the great review. Prompt, friendly, reliable. Offer a guarantee. Second time I've used them, first for mice, this time for carpenter ants. Will use them again if needed. Thank you John, we look forward to working for you again in the future. Timely, professional service and I would highly recommend them. The service technician gave us a lot of information on prevention and what to expect after the service was completed. Thank you Michael so much for taking the time to write us a review. Much aprreciated. We hope to work for you again in the future. Hi, the person who came was knowledgeable and took time to walk through and explain everything and answer my questions. One piece of constructive feedback- he wore his shoes in my house- I turned around to walk in my home and have him follow me and when I turned back I notice his shoes were still on. I asked him to take them off before going on the carpet in the basement and then I said it was fine to continue to wear them on the hardwood because I was going to mop my floors soon after. It might be a good idea to provide shoe covers for employees or have employees ask first before entering with shoes. Thank you Lori we appreciate this comment. We have added bootie covers to our inventory.